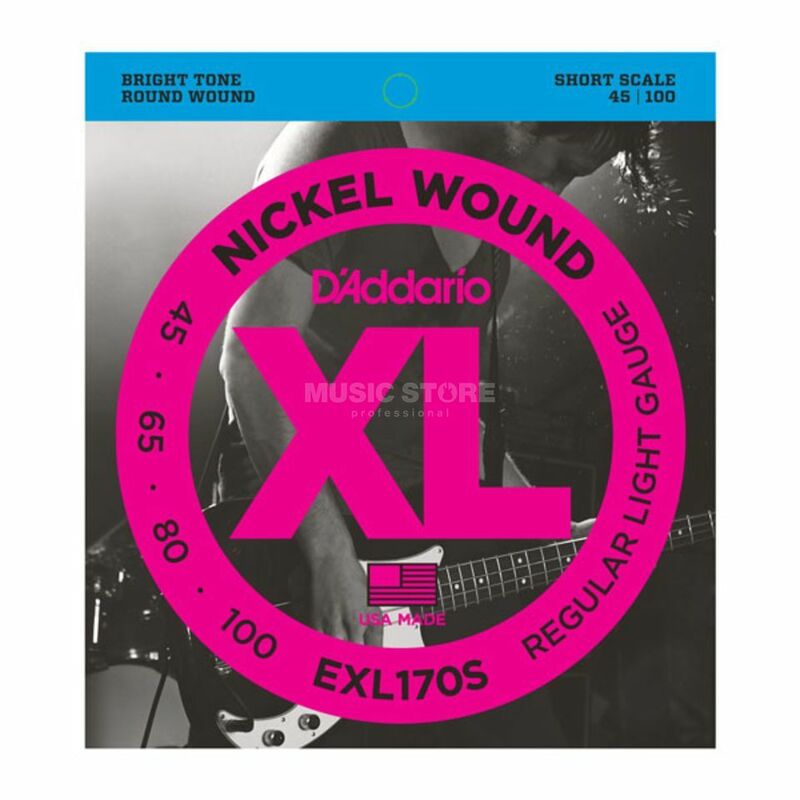 The D'Addario EXL170S Round Wound Bass Strings Short Scale 45-100 is a set of strings for a short scale 4-string bass guitar. The EXL170S set offers an ideal combination of distinctive bright, booming tone and comfortable feel. The XL Nickel Wound Electric Bass strings are precision wound on exclusive digitally-controlled machines that ensure each string has excellent intonation, clear fundamentals, and unparalleled consistency. Wound with a nickelplated steel wrap wire, each string delivers a distinctive bright tone with excellent magnetic output.